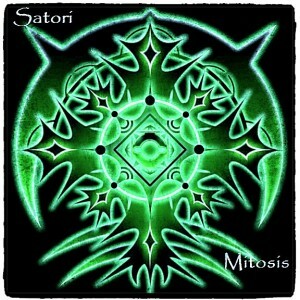 In association with Fish ‘n Trips Records, Satori presents his latest release Mitosis. Mitosis is the process by which a cell separates the chromosomes in its cell nucleus into two identical sets, in two separate nuclei. This album was created during a time of division for Satori, from the old to new. New life, new encoding, new music. We invite you to take this journey with us, close your eyes, clear your mind, and dance. All tracks written and produced by Rory Robinson, Byron Bay, Australia. Mastered by Priaprizzm, except for track 5 mastered by Ogopogo. Artwork by Cru the Dwarf. MP3 Download | FLAC Download | WAV Download · Download count: 6,302. It’s OK, fairly avergae with too many common sounds and conventions. But nice to see australia having a go. Thanks for the support everyone at Ektoplazm. I hope this e.p will be enjoyed by many. Satori, you have a very awesome style, your tracks stand out from others almost like its a new genre, you put all the sound effects and melodies way in front of music so the fast bpm goes into background, makes listening a very interesting experience. The best psycore release. Last track is out of this world. full coreness all the way…….